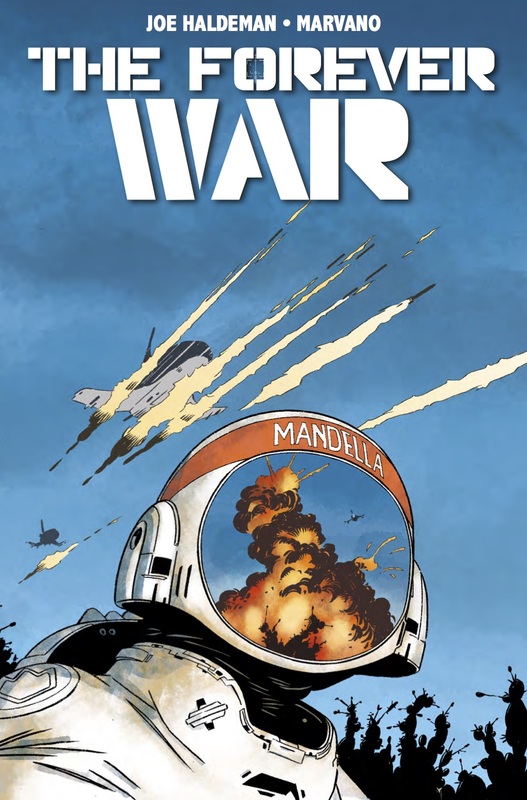 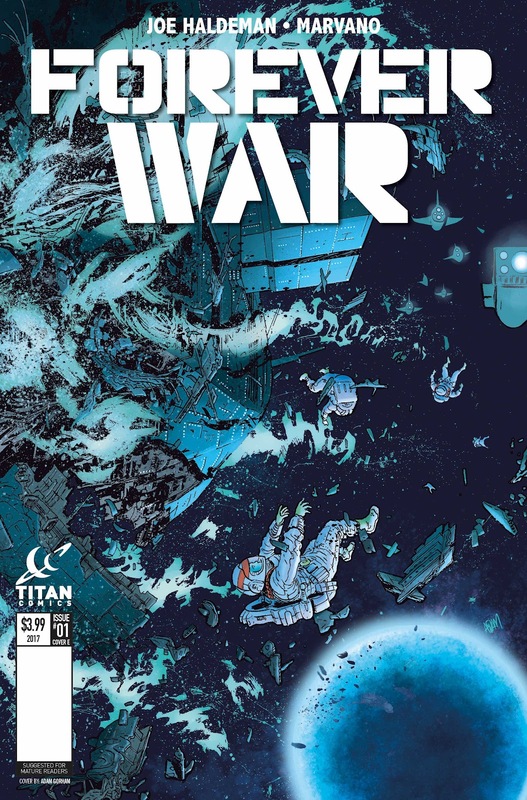 The Fellowship has obtained a first look at THE FOREVER WAR #1 from Titan Comics. 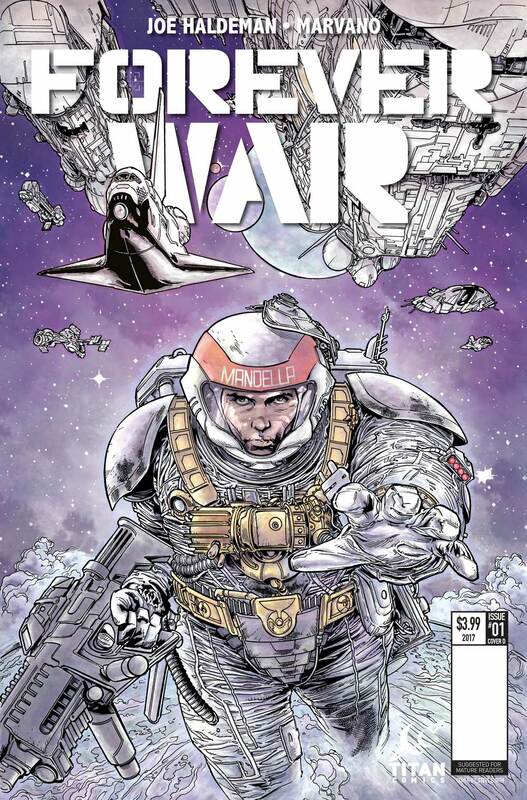 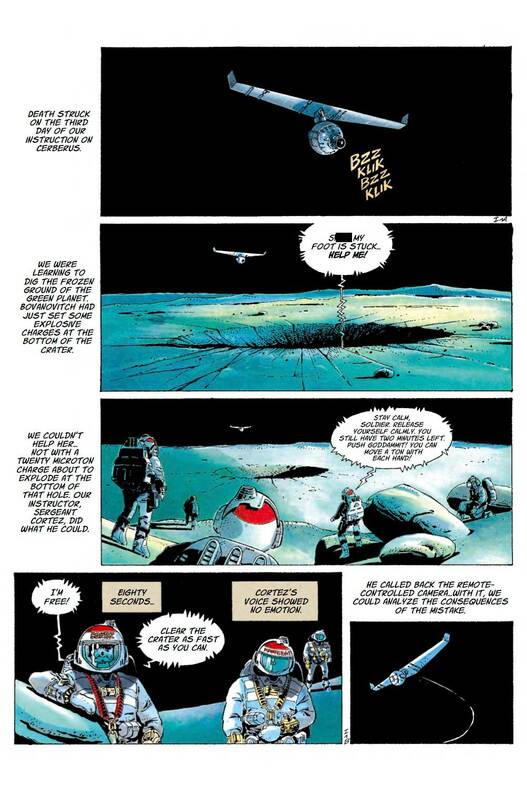 The issue, which hits stores February 15th, is written by Joe Haldeman; with art by Marvano. 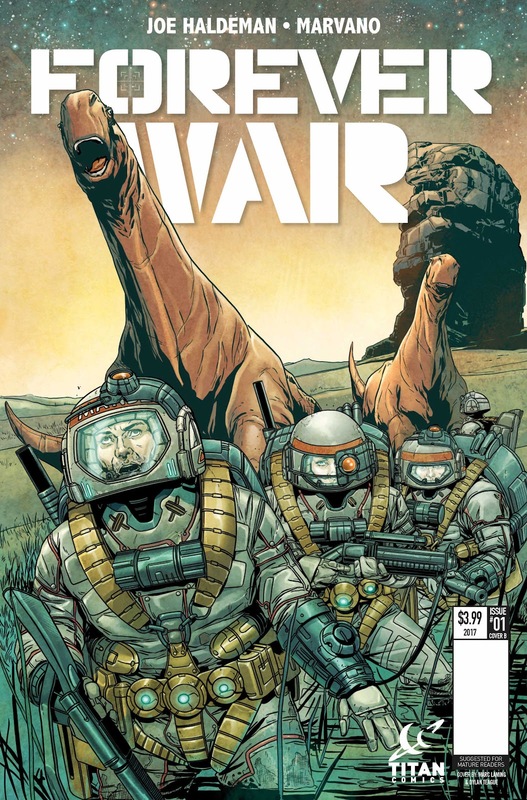 The covers are by Marvano, Steve Kurth, Marc Laming, Nick Percival, and Adam Gorham. 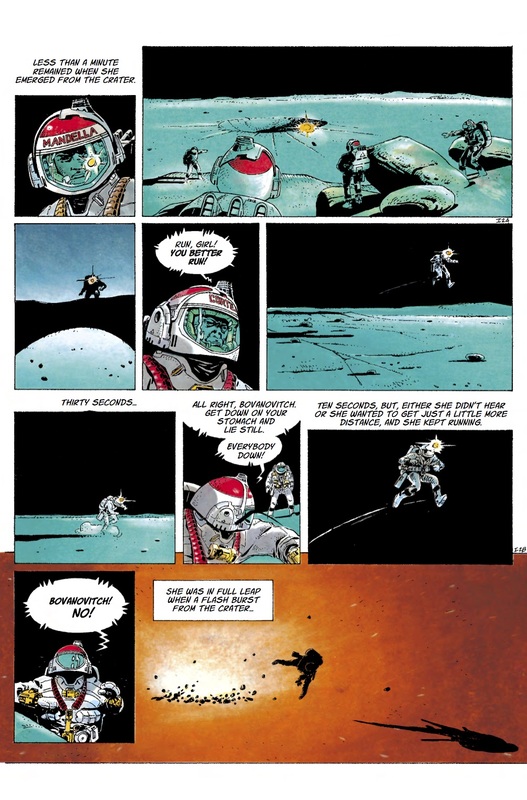 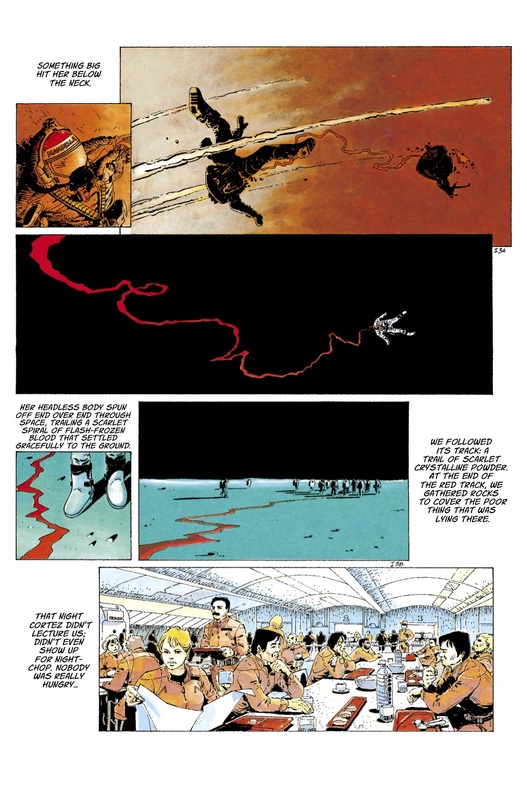 The visionary Hugo and Nebula Award-winning SF tale by Joe Haldeman is beautifully realised in full color by the legendary artist Marvano. 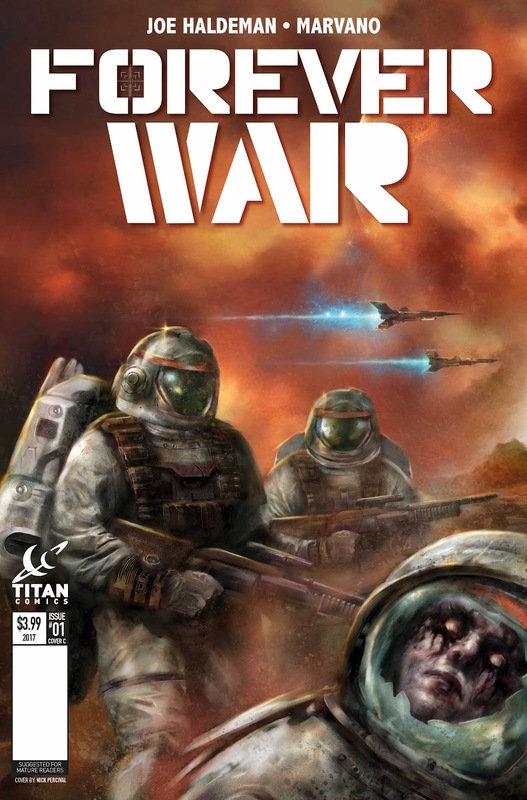 An epic SF war story spanning space and time, The Forever War explores one soldier's experience caught up in the brutal machinery of a war that reaches across the stars.